Verizon says they’ll launch fixed residential 5G this year. AT&T suggests it’ll launch mobile 5G at around the same time. And T-Mobile has made it clear that they won’t deliver 5G until 2019 at the earliest, with a full nationwide rollout by 2020. Because of that more realistic prediction by T-Mobile, they aren’t having any of Verizon and AT&T’s attempts to sell you on earlier deliveries. Today, T-Mobile CTO Neville Ray took to T-Mobile’s newsroom to blog about #Fake5G and this notion that Verizon and AT&T are distracting, distorting, confusing, and convoluting the story of 5G. Ray, of course, mentions that T-Mobile has remained consistent with its plans for 5G, including that 2020 timeframe, and that you should really only care about what they say, not these other clowns. Here’s a thought: Don’t take any of them too seriously until a 5G-ready phone is here that can work on one of their active 5G networks. And I say that because they are all a bit misleading in what’s going on. Sure, T-Mobile is “STILL the ONLY wireless company committed to deploying a nationwide 5G network.” As if that matters, though. Do we all think that Verizon and AT&T aren’t going to deliver nationwide 5G at some point down the road? That’s like any carrier saying, “Guys! We’re committing to launching the iPhone 20, whenever that gets here! None of our competitors have committed to selling it yet!” The point is that 5G is the future and a wireless carrier won’t be able to compete long-term if they aren’t going to try and bring the latest in wireless technology to the entire nation and their wireless footprint. Like, come on, T-Mobile. Oh, but T-Mobile gave us some dates! They gave us dates for deployment of 5G in 600MHz, that’s it. While still cool and technically something no one else has committed to, that’s a single band. Ray said himself in today’s blog post that, “You need ALL bands to really unleash the promise of 5G,” which they haven’t committed to for 2019 and 2020, yet. Their plan is to kick things off with 600MHz and “then re-use other spectrum bands for 5G over time.” Great, so T-Mobile’s initial 5G plan so far is to not unleash the promise of 5G, while laughing at others for doing similar things. Got it. They also aren’t claiming that this has anything to do with mobile 5G. So who cares then? Well, you apparently care if you are worried about someone else being first to some sort of 5G release, which T-Mobile seems oddly obsessed with. As for AT&T saying they’ll launch mobile 5G this year, I wouldn’t suggest anyone hold their breath. They revealed zero details about that other than their plan is to push it out to a dozen markets and that they’ve “taken a different approach” than others. Whatever that means. We really know nothing. T-Mobile laughing at AT&T over that is 100% fair and AT&T really should give us some details or back away from this “first” claim. Again, the 5G race is on and the battle over who will be first is only just beginning. My recommendation is to not take any of it too seriously. 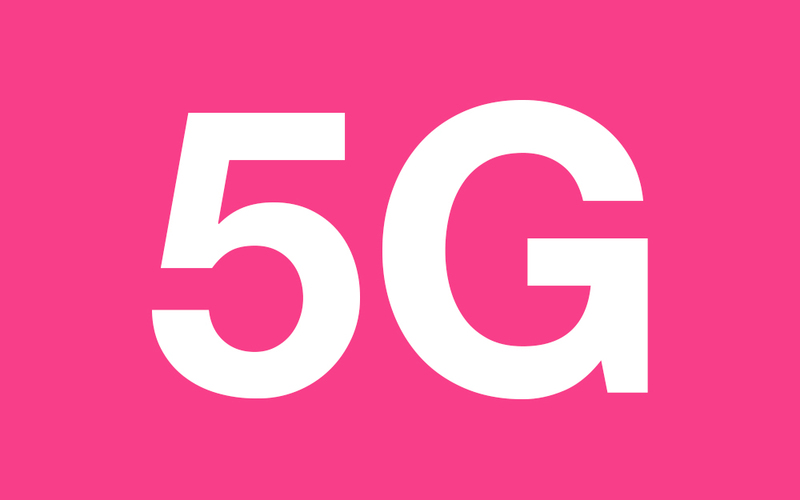 For the most part, we’re years away from seeing the full “promise of 5G,” which even T-Mobile has admitted to today.